Please call for an appointment to prevent long waiting time. 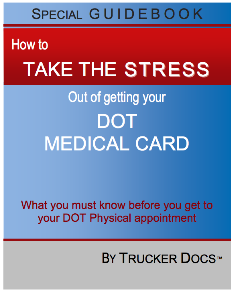 Dr. David R Slavens, D.C.
We provide pre-screening to detect potential issues that may put your CDL at risk! We are dedicated to the health and well-being of drivers of all ages. We offer preventive care for healthy adults and those who are experiencing health issues that may affect driving ability. We are concerned with all aspects of health, including physical, mental, and emotional well-being. We understand that health issues can be confusing, so we will work with you to answer any questions you have. We believe healthy habits start early, so we offer healthy advice, tools, and tips to ensure you function to your highest level. WE ARE MOBILE. We have a mobile office for our Corporate Clients.